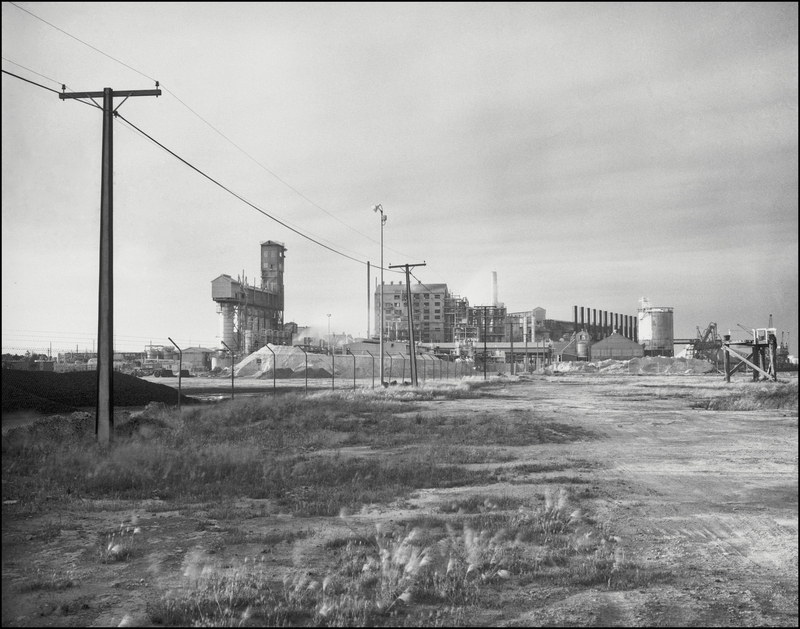 This photo of urban space is of an altered landscape, which is one that has been transformed by human beings, and the image represents the impact and imprint of industrial civilisation on the land. This project was a visual mapping of the space along the Port River estuary. 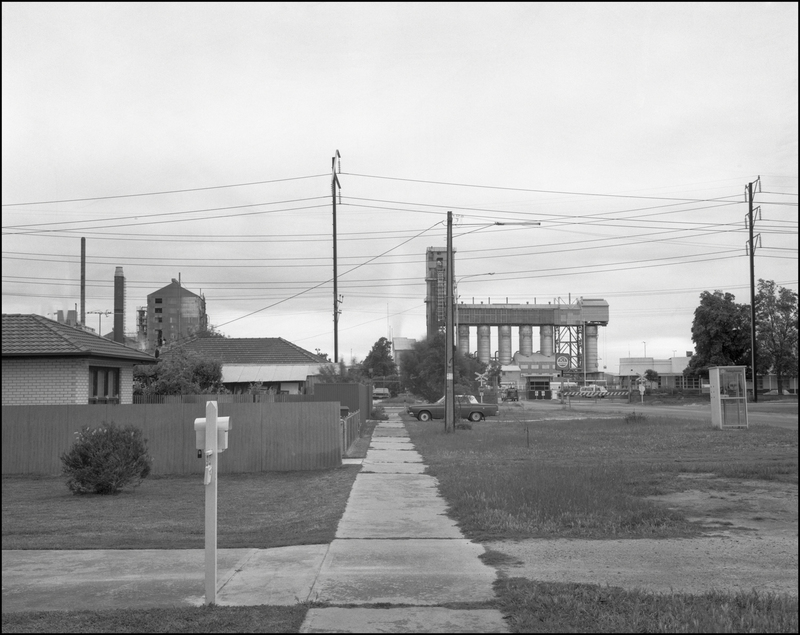 Despite its more conceptual approach the genre of a topographical approach to the subject of altered landscapes is not recognised in the written histories of Australian photography, and it is one that the Australian curators in the art institution have overlooked, or been blind to; even though the landscape has historically had a prominent place in Australia’s visual culture. Topographics in the art history books–eg., Andrew Sayers 2001 book Australian Art— is limited to topographic drawings in the early 19th century that come out of the naval and military culture in the early 19th century and which are concerned with recognising coastlines from the perspective of a ship looking towards the shore. It is surprising that Sayer’s does not recognise that Bea Maddock’s 1990s panoramic drawing of the coastal profile of her homeland Tasmania in Terra Spiritus …with a darker shade of pale was a reworking of the topographic tradition, given its explicit mention of William Westall’s topographical drawings made whilst he was accompanying Mathew Flinders on his circumnavigation of the Australian continent circa 1801-3. Maddock’s reworking of the topographics tradition indicates that Sayer has missed the spatial or topographical turn in the humanities in which topographics becomes a form of mapping to help us understand a place. This takes us beyond the field of cartography as it is the graphic figuration of a place or space, and it focuses on the significant features or aspects that can embody compressed time or history. It is not just place descriptions but the art of mapping through graphic signs. The topography of place is made by visual signs or images as in drawings, words or photographs and it becomes an aesthetics of the everyday. This topographical mapping can have different stylises or approaches There is the topophilia approach suggested by Gaston Bachelard in his Poetics of Space; was picked up by the Situationist International in the 1960s with their cognitive mapping of a sense of urban space through re-appropriating the alienated city through walking (psychogeography); then by the geographer Yi-Fu Tuan in his Topophilia: A Study Of Environmental Perception, Attitudes and Value in the 1970s. Topophilia refers to the heart felt attachments to place. Another style of mapping is the more descriptive motivation of the images in question, made evident by the camera and it is a kind of cataloguing the visible features of single parts of a space or place to create a portrait. This is the tradition of chorography, which was a pictorial and sensual knowledge that attempted to give a panoramic or total view of the city through visual mapping. 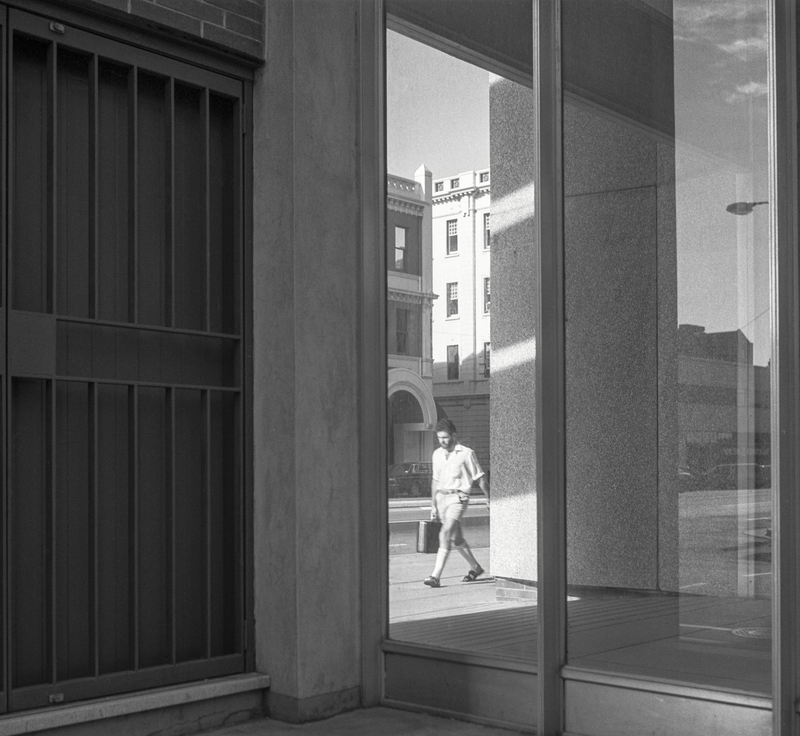 The third style or strand is a formal strategy of surveying, either by means of walking – a pre-eminent spatial practice – or by looking from above as in aerial photography In themselves two very different tactics, walking (eg., the Situationist drive), and looking from above. These are often complementary mapping procedures, in particular when it comes to mapping a space or place.